Hotel prices constitute the second biggest expense of any trip. There are ways to fight this fact. A family run hotel is a budget traveler's best friend and a fine deal. I cannot tell you how many times I have driven down back roads in countries like Germany and noticed the family-run Gasthaus beckoning from the sides of the road. Sometimes they're called a Zimmer Frei, a Gasthof, Chambre à Louer, Pensions, or true Bed-and-Breakfasts. Here are great Hotel prices. In cities I look for one or two-star hotels. They're called different names in different countries, but they are all the same: quality run places to stay, where the locals come to eat and drink. These are havens from the elements, sanctuaries for the weary traveler. They are located all over Europe, Asia or South America, at minor highway intersections or near village centers. They are always cozy, warm, inviting and friendly. My kind of place. 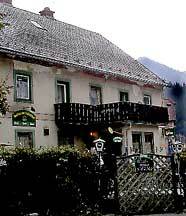 One time in Austria, I discovered a wonderful Gasthaus on the main road in a National Forest. I'm rewarded with delicious, hearty meals, great beer, and good company. I get acquainted with the owners, and they allow me to stay in one of the apartments, complete with kitchen. I pay just 35 Euros ($49.) In Europe they charge by the person, not by the room. It can lead to a better hotel price. On the wall near the entrance are pictures of four generations of couples who had run this establishment. These are hard working, skilled providers born into the trade. The latest owners are up to the task. I didn't know it, but a full breakfast is included in the room price, not just the usual continental breakfast. I can't tell you how much fun it is to stay here, and if I weren't so intent on exploring as much of Austria and the Czech Republic, I would stay here a week. In fact, that's a great tip in itself. Do NOT call the 1-800 number for a hotel chain. No one there is authorized to give you a big discount. Call the individual hotel and ask for the manager. Try to cut a better deal. Go someplace else if you don't get it. Get the number from the website or travel website below. Here's a big tip! Hotels have a huge surplus of rooms (maybe 35%.) They don't let this reduce hotel prices. So ask for special promotions such as senior discounts, two rooms for price of one and a half, or free upgrade for longer stays. Ask! Remember 20% of the lodgers create 35% of the travel industry business. These hotel owners desperately need those with deep pockets, people with expense accounts or too much money. Try not to be one of them. Discounts are not obvious or usually advertised. Ask for them: "What is the lowest available rate?" This is important. Try to stay in one place longer. Ask for one week discounts. You get to know the owners/workers and get better deals. Again a trip in itself. The best hotel prices can be included in the airfare-plus-hotel vacation packages offered everywhere. A deal for trips where you have a single destination, such as one city or one beach for the whole trip. Check Sunday Travel sections in major city newspapers. Or better yet, check the travel websites below. 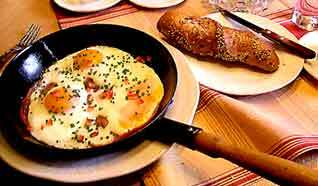 Try Hotel Alternatives such as Bed and Breakfasts, hostels, private rooms with shared bathrooms, with or without meals. Try villas, apartments, condo rentals, universities and other alternatives. Try Home exchanges, home stays. Try an empty couch or other types of free Lodging. Ask the locals for cheap/good transportation, hotels, restaurants, and food. Go where the locals go. Try to avoid ALL tourist traps. Ask the open question, "Where do I find an inexpensive place to stay?" Maybe you get invited as a guest to their homes. It is the best way to travel. Remember to be a good guest. Stay at local, family run lodgings. They are called Gasthaus and Gasthof in Germany, Pensions in France and Spain, Bed-and-Breakfasts in England and Ireland and two-star hotels in Italy. Check guide books. Break out of the cocoon of high price nothing. There is a dirty little secret that deals with the hotel rooms that we stay in. They can be a lot dirtier than we think they are. Erase Cookies on your computer first, as always! The Hotel servers use this to sense weakness and raise prices. Better Hotel Prices at Hotels.com – The best hotel prices at the best places. Guaranteed. Google destinations – Google "Hotels in city name." See what's available. Motel Discount CouponsBookingBuddy.com – Compare Websites. DestinationCoupons.com – Great hotel price discounts. Priceline.com – Negotiate travel deals. Better hotel prices. Hotwire.com – (US only. Hotel name not revealed until booked) Book, and upgrade later if you have a big family. Find out what other people are saying about your lodgings. Tripadvisor.com – supplies opinions of former guests. TravelPost.com – Hotel Reviews, Hotel Ratings, and Resort Reviews. VirtualTourist.com – gives hotel reviews. IgoUgo.com - Compare Rates Across Multiple Websites. Kayak.com – complete air car hotel search engine. The best! Try villas, apartments, condo rentals, and universities. I stayed at the London School of Economics dormitory for 25 Pounds ($45), right in downtown London. Spartan, but fun. It reminds me of my dorm days. Check your guidebook fro special deals on lodgings, that is how I found the great deal above in London. Google the city name and the type of lodging you wish such as Google "Rent Apartment in Paris." CraigsList.org – Look under rental homes, villas, apartments, universities. Make sure you are in the proper CraigsList in the country you are visiting. Try camping. Remember they have inexpensive bungalows if you don't have camping equipment. They are made for families with active kids. Meet other families with kids and you get free babysitting. Don't worry, there are strict quiet times enforced. Check guide books. Cabins, camping bungalows, National Park lodges, and mountain huts are available. Check guide books! Home exchanges, home stays. Super deals! Free Lodging: Get what you pay for and more. CouchSurfing.com - CouchSurfing is a worldwide network for making connections between travelers and the local communities they visit. Servas.org - Servas is an international, non-governmental, multicultural peace association run by volunteers in over 100 countries. GlobalFreeloaders.com - GlobalFreeloaders.com is an online community, bringing people together to offer you free accommodation all over the world. Save money and make new friends whilst seeing the world from a local's perspective! Casacasa.org - Casa Casa is a hospitality exchange club. Remember, after the lights go off, it's only the bed in a room that matters. Save fancy and money for your meals.